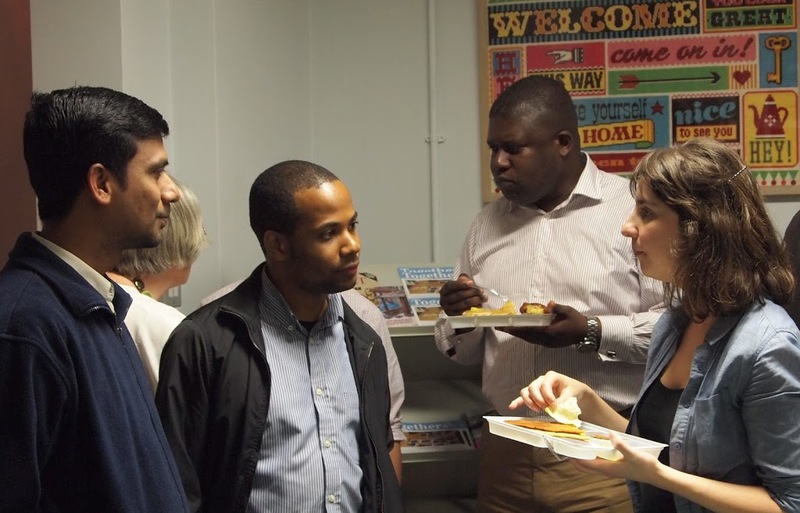 Paul Anthony, a Jesuit scholastic and member of the Hurtado Jesuit Community that lives with JRS UK, reflects on a recent conversation about migration. I was fortunate to attend the session on ‘Migration Conversation’ by Br Stephen Power SJ at the Hurtado Jesuit Centre. It was very informative and the statistics presented were an eye opener. Later, we had a discussion in different groups and I was very much drawn to their sharings. Some of the participants were migrants themselves. Many shared their feelings of sentiments, and what they did with migrants and refugees. What they said was inspiring and heart touching and came from deep down themselves. When I was in Andhra Province (one of the South Asian Provinces of Society of Jesus), I used to share more often about JRS and its mission to the novice candidates, and in my Vocation Promotion talks to them. The little knowledge I was gleamed from books and newsletters of our congregation I never had met any refugee or volunteer working in JRS. Now I am fortunate enough to be placed in the Hurtado Jesuit Community, in London, as a part of my theology studies. JRS is part of Hurtado Jesuit community’s mission, now I can meet people involved in refugee works as well as asylum seekers and refugees as well. My interaction with refugees is short but it has created a huge impact on me. Simple ‘smiles’, ‘hellos’ and ‘goodbyes’ produce ripples of happiness and joy in their faces. I am not able to advise them on legal matters but simply present myself and share the rapport of a mutual smile. My experience has been similar to that of all those who shared during the discussions, though their sharing has enriched my understanding and feelings towards refugees and migrants. It is not qualification and experience which matter to have but a simple mind and heart to reciprocate ‘Hi’, ‘Hello’ to those who are in need. ‘When I was hungry, you gave me to eat and when I was thirsty, you gave me to drink’. People not merely long for the satisfaction of physical needs but also for emotional and relational needs. They are hungry for the food of communication and communion and thirsty to receive the water of compassion and acceptance. They desire a space to share their feelings. The sharing was a great breakthrough and showed me how I need to respond and grow spiritually. It made me realise that the best present I could give to the refugees is my pleasure at our presence together. I have discovered ways to make others happy and to be happy myself.